TCB visited the Natural History Museum in London to deliver installation support to steel erectors. AC Structures were installing Countersunk Tension Control Bolts (CSK TCBs) adjacent to the main hall. Dippy the Diplodocus, the famous plaster cast replica of fossilised dinosaur bones, was on tour at the time so missed the training. 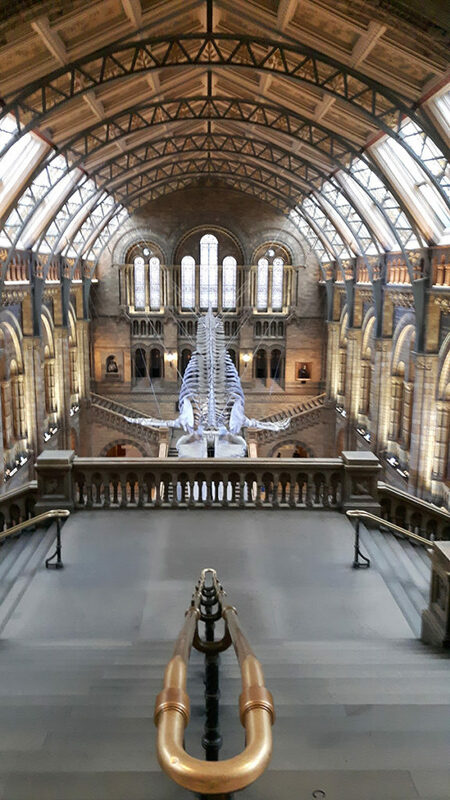 Typical, you wait 154 million years for TCB installation training, then pop out for a few days, and a blue whale skeleton jumps on your plinth!